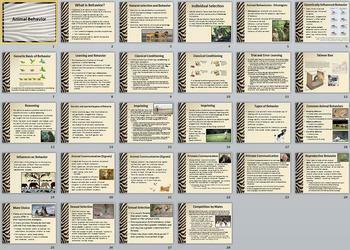 My presentations have been made to be both informative on curricular topics and visually stimulating for all students. 100% of my students prefer to receive and discuss new topics via Notebook/PowerPoint (compared to reading textbooks, lectures, or copying information off of the board). I have found that this method works extremely well with both mainstreamed and inclusion students. When I taught in a traditional HS, I provided a notebook with all the slides for students who needed to take a second look at a slide or were absent for the day. A free product preview of this entire Smartboard Notebook presentation is available.